Lost & Rewound Holiday Showcase December 18th @ The Footlight! On Monday, December 18th at 7pm, The Footlight will be hosting another edition of RFB Presents! 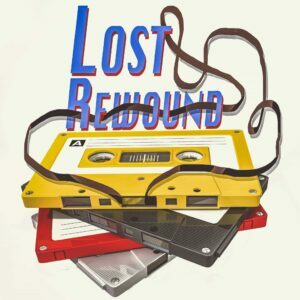 This month, the team of Radio Free Brooklyn’s Thursday afternoon found sounds program Lost & Rewound take their show to a live stage for an evening of music and stories with past guests, for the Lost & Rewound Holiday Showcase! In the spirit of revealing the sounds from our personal archives, join hosts Elann Danziger, Alyson Goodman, and Jimmy Hoffman as they invite previous guests to get embarrassed with us. Musicians will share songs they never dared play out in public, and storytellers will share holiday experiences far too eventful to forget. There will be music from Robin Irene Moss, Axel Ito, Siobhan Fogarty, Matthew Finch, & Lindsey Freeman, and stories from David Lawson, Amber Drea, Sam Rose, & David Piccolomini! It’s a stacked line-up of talented performers, for one evening only. Doors are at 7p, there’ll be a $5 suggested donation, and you can ensure getting a seat by getting your ticket in advance at rfb.nyc/tickets. Make sure to stick around after 9p for more great performances directly following for the Original NYC Talent Show!